The Trump administration announced its intent to roll back signature Obama-era greenhouse gas and fuel emissions standards for cars and light trucks on Monday, according to a press release. Scott Pruitt, the Environmental Protection Agency administrator, said in a statement that the EPA was still working to determine "appropriate standards" but called the emissions determination made by President Obama's EPA "wrong." 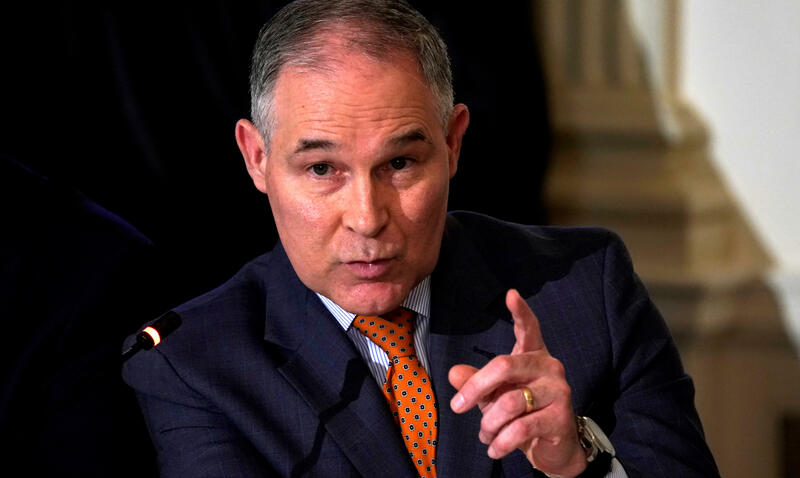 "Obama's EPA cut the midterm evaluation process short with politically charged expediency, made assumptions about the standards that didn't comport with reality and set the standards too high," Pruitt wrote in a statement. The state of California is already expecting to fight to continue to set its own ambitious and more stringent emissions standards for cars to reduce emissions and pollution, an authority granted by a waiver under the 1970 Clean Air Act. Mr. Pruitt said in the statement that California's waiver is being "reexamined." "EPA will set a national standard for greenhouse gas emissions that allows auto manufacturers to make cars that people both want and can afford – while still expanding environmental and safety benefits of newer cars," Mr Pruitt wrote. "It's in everyone's best interest to have a national standard, and we look forward to working with all states, including California, as we work to finalize that standard." Mr. Trump has long teased Mr. Pruitt's plans to roll back Corporate Average Fuel Economy Standards (CAFE), a move expected to be welcomed by automakers.